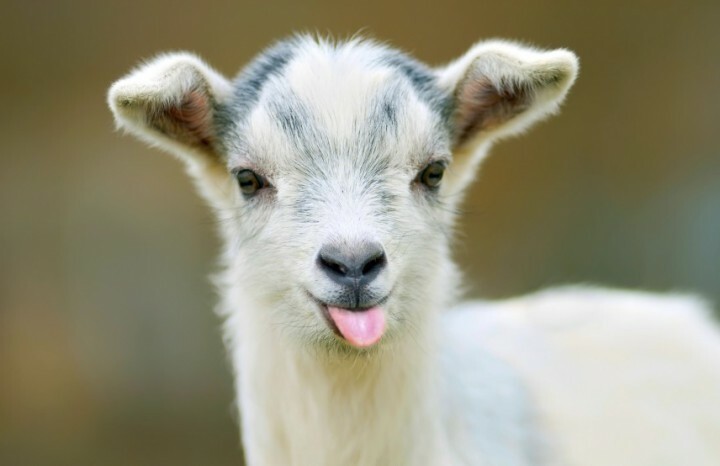 Goats are quickly maturing animals, easy to breath at low cost and low in maintenance. The project will provide 40 goats to 40 children to raise at home to create an income and to support their education. Hands for Children support 200 orphans and vulnerable children. By this multiplication they strive to offer every child a goat within 2 years. A goat stable will be constructed with 10 goats as demonstration site for the beneficiaries and the local community. Goats are used for milk and meat, and the skin for fabrics, shoes and house mats. The drops and urine will be used as manure. There are no risk in keeping goats. On topic there are no religious taboos neither against goat rearing and neither on the meat consumption. The project started very smooth and is close to ending the implementation phase. 46 vulnerable children and 1 widow with 6 orphans were selected since the number of goats was limited to 50. Each child was asked to keep the goat for multiplication or breeding purpose. At the time of giving each child was given a chance to select a goat of choice. Procured drugs and treated 50 goats (vaccination and de-worming by a para-vet) for the project. 1 male goat still has to be purchased. About 80% of the funding has been used in the project activities, in the purchase of goats, the building of goats stable, goats treatment, etc. There are still a few areas to be completed. The project is progressing well. All goats supplied all are healthy. The children love their goats. 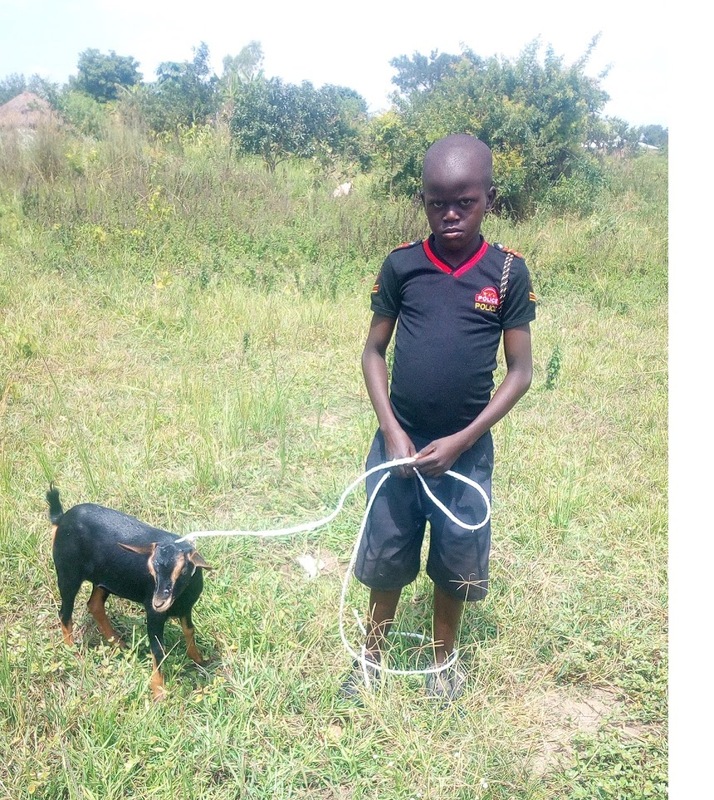 Those children who are at school take care of their goat when they come back from school and are taking them inside a shelter for the night. Some have constructed a grass thatched house to keep his/her goat. 1. In general all the goats given are healthy; none has died. De-worming is done and the sick goats are treated. Those that were sick respond to treatment effectively. 2. The goats are receiving treatment in case any falls sick. 3. Some of the goats are in gestation period and about to produce kids. 4. The goats at the widows are all healthy as well. Routine spraying has been applied to control ticks. The budget for the project was 3.400 Euros. All funds were well spent and accountability presented. The number of beneficiaries are still overwhelming so we did not have enough goats for all the children in the project. The projects need more goats if the finances can be available. Routine spraying has been done to control ticks. There is a need to build a children centre for more services extended to the children.